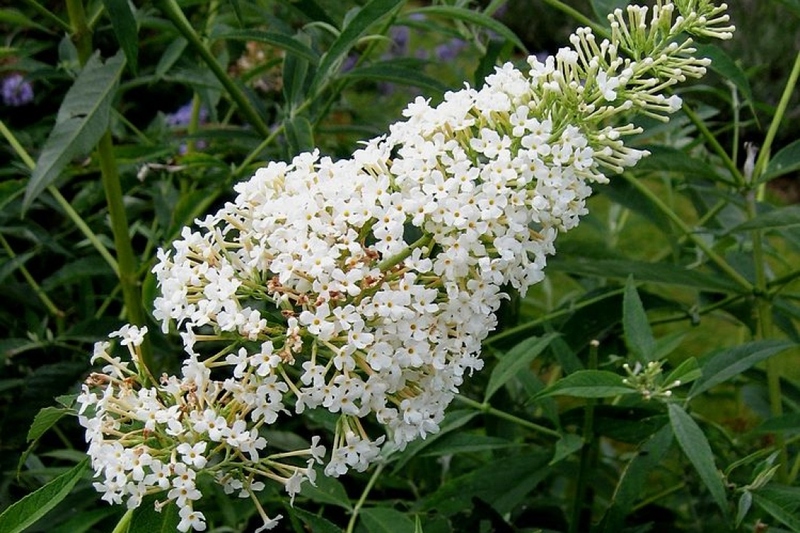 Buddleia 'White chip' (Buddleja davidii 'White chip'): growing, planting, caring. A dwarf variety with pretty white flowers - perfect for pots or small gardens! This miniature Buddleia produces all the same characteristics of a standard buddleia shrub, only it has the advantage of being suitable for growing in pots and containers on the patio.